Google Now is already a killer feature for Android users, but it's not done improving. The newest addition to Google Now's voice command options is that it will now let you ask to hear your latest messages and then give you your last five messages so you can easily get through and deal with them as you want. 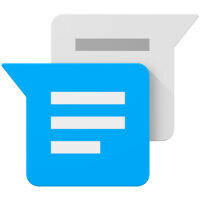 If you ask some form of the question "show me my latest messages," Google now will list your newest five SMS messages. First it will ask if you want to hear a message, then ask you if you want to reply to said message. There are a few tricks to this though. You need to use either the phrase "show me my last messages" or "show me my latest messages", because saying "show me my newest messages" or "read me..." instead of "show me", Google Now will offer up your newest Gmail messages and not allow for further voice commands. Also, this feature only works with your carrier SMS messages. If you're someone (like me) who primarily uses Google Voice for SMS, this feature is useless right now, but we're hoping that Google adds Google Voice messages to this eventually. However, if you use your carrier SMS, it doesn't appear to care what your default SMS app is and should work with anything. That's great for hand free operation. Once again where are the trolls that keep saying Google now is so much capable than Siri - this is old news for iOS users. As much as I love Google Now, I'm really surprised it's barely getting this feature. Google is slowly transforming voice search into a personal assistant (Google Now). I don't think that was Google's plan initially. Since people keep pitting Google Now against Siri they feel the need to add more features. Beyond the occasional search I don't use any other feature of Google Now. Motorola has had this on their phones since 2013. Google Now's "killer feature" is mostly killing my battery life. About time! Cortana can do that, Siri can do also. Now is the time Google catch up. Thank you for pointing that out. I can even place call on speaker phone with Cortana with my 950. Google still can't do that and people say Microsoft is behind with features...? Agàin, Motorola has had that capability since 2013. What is the fourth button in the navigation panel? It's a button to expand notifications without pulling down the shade. That's looks like an LG nav bar where the buttons are customizable without root. BULLs**t! 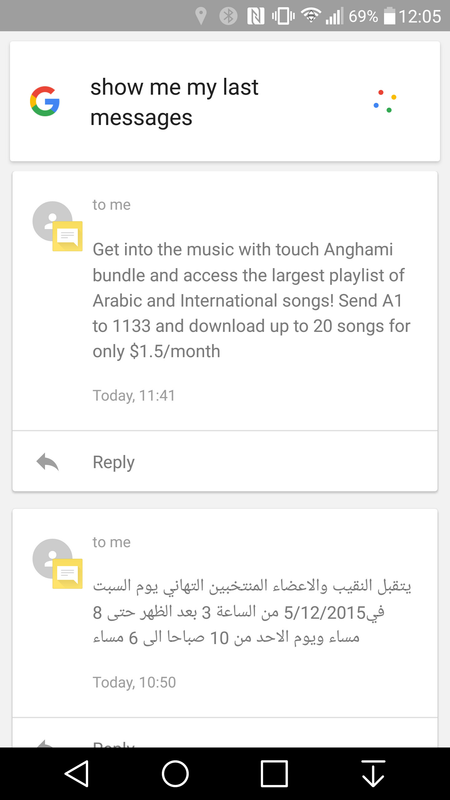 Google Now has been able to read text messages for a while. At least the latest one. I have showed off that feature numerous times. I just say, "OK Google, read that text message to me" and it did it. I've sent many, many text messages using voice only. As a matter of fact I just did it and it still reads your latest text message to you. If you say, "show me my latest text messages" it will show 5. Siri and Cortana are cute kids' toys compared to Google Now. Phone Arena, you need to hire me. You deserve a rolling deal indeed!